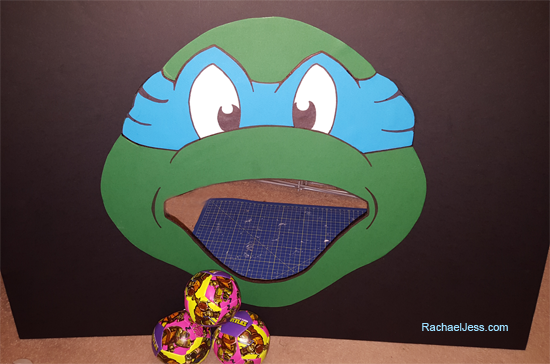 I've mentioned in a previous post about making TMNT themed bean bags for my son's birthday party. 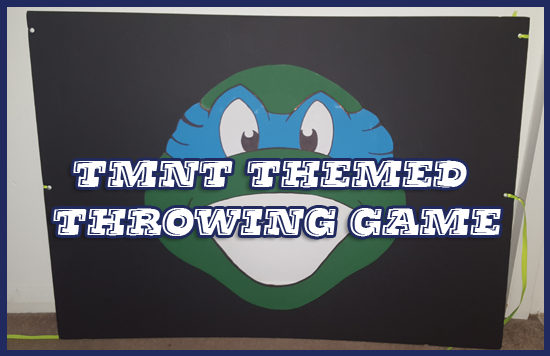 To go along with these bags we decided to make some games that involved a bit of hand/eye coordination (also known as 4-year-olds randomly throwing things at targets....). Along with the stacking cups, we (the 'we' is very important) also made a giant Leonardo head with a gaping big hole where the mouth is to use as a target for the children to throw the bean bags and softballs through. 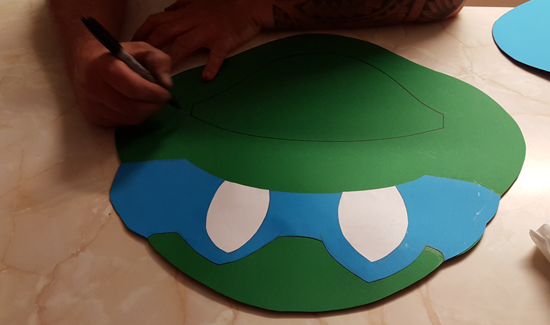 The green card was used to cut out the shape of the turtle. We tried to keep the same shape and style as the party bags. We then used the blue for the mask and the white for the eyes. The sharpie was used to fill in the detail of the face and left to dry out. Rather than cutting the mouth out then cutting out the mouth again once on the black card we decided to only do this once, so when the face was ready it was glued on to the black foam card. 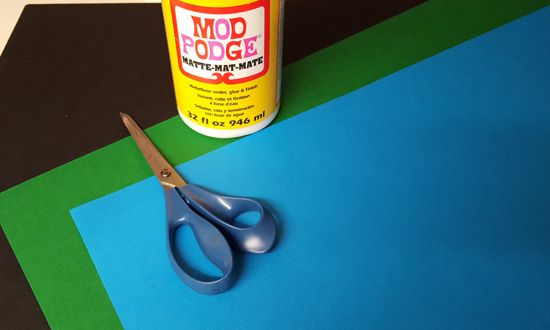 I used a cutter for this and it took a few goes to get through the foam. This takes a little while and some sides were a wee bit edgy so I just got a small block sander out to give the mouth a smooth finish. 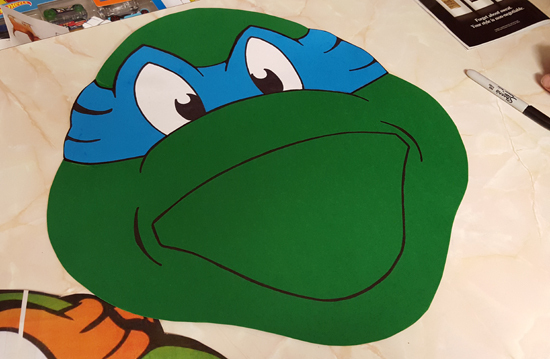 The foam on this particular board is white/grey inside so I used my marker pen to fill in the middle of the cut out so it didn't stand out. I used my single hole punch to add a few holes either side of the board and place some ribbon through so there was a choice of ways to hang the board up once we got to the party, and as with the stacking cups, this was very well received. The balls we used are currently on offer for £1.50 at Wilko and were the preferred choice on the day.